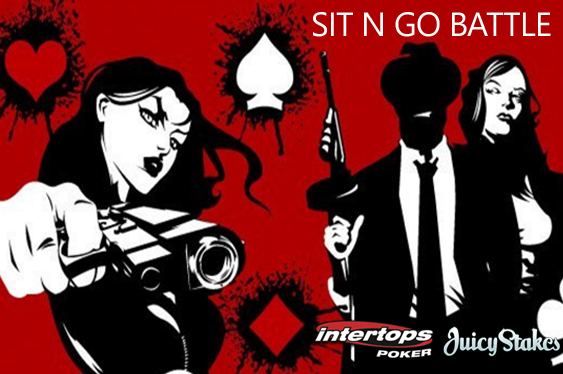 The Sit N Go Battle leaderboard campaign is due to kick off from March 16 at Intertops Poker and Juicy Stakes and will reward the 20 highest-ranked competitors with $500 in prizes while the overall champion is set to walk away with $90 in cash. “Players that take a seat at most sit-and-go games up to $10 buy-in will automatically earn Sit N Go Battle points,” read a statement from the Horizon Poker Network sites. Leaderboard campaign from Juicy Stakes and Intertops Poker will award the 20 top-ranked competitors with a share of $500 in prizes. Intertops Poker and Juicy Stakes have additionally announced that they have just added a new $1,000 guaranteed re-buy and add-on no-limit hold‘em online poker tournament to their schedule with the action getting underway nightly from 11:00pm New York time.